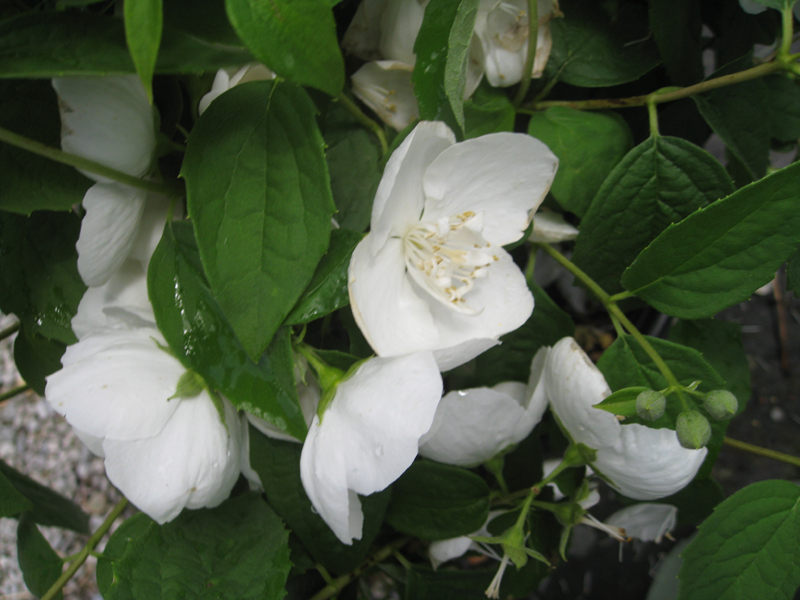 Comments: Fragrant, two inch, double, white flowers are the values that make this mock orange sensational. Blossoms are produces twice yearly, once in spring and then again in summer. Must have a well drained soil and performs best in sun. There are a number of cultivars available and this is one of the more interesting ones.